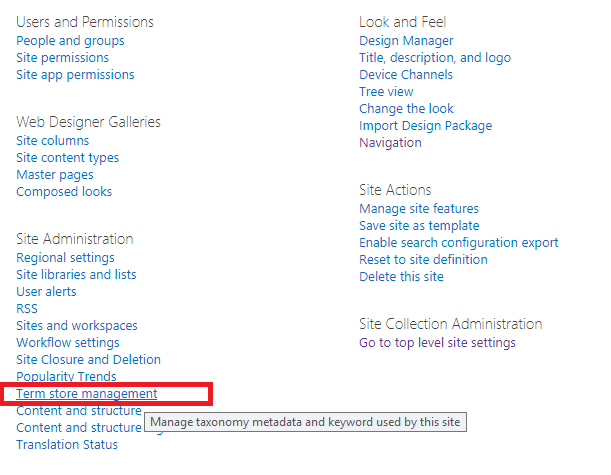 We are using SharePoint 2016 and ADFS. 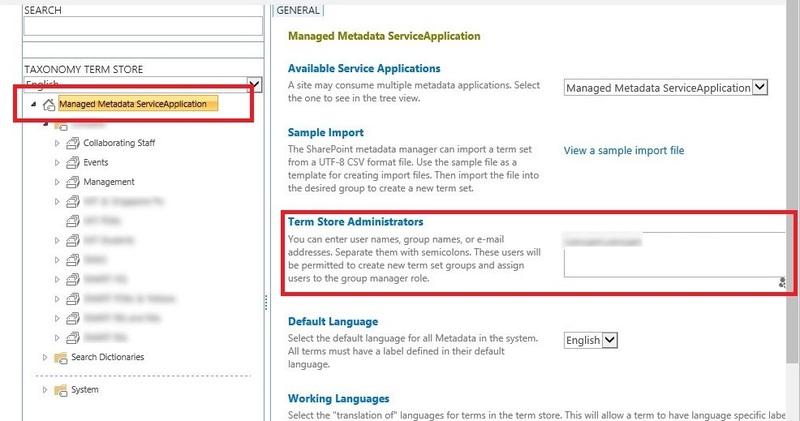 In central admin, managed metadata service application we have add some user as an termstore administrator. This user opens some sitecollection and go to the termstore on sitecollection level. This user has cannot add/modify/remove terms from the termstore on farm level. Why is this not working? I found the solution by my self. We are using ADFS as authentication provider. In the people picker in the "managed metadata service appliation" adminitrator setting you can enter the first or last name. The people picker will show you the the email address of this user which you can select. It looks like this is the Windows username and not the ADFS claim username which you can recognize with the prefix "i:0e.t|adfs|". When you enter in the people picker the ADFS claim username for example "i:0e.t|adfs|m.jackson@mycompany.com" it works. Not the answer you're looking for? Browse other questions tagged 2016 managed-metadata or ask your own question.